Halloween is fast approaching and thankfully the shops have swung head first into the spooky spirit and are showcasing all things Halloween. M&S are the kings when it comes halloween themed foods. They seem to be one of the brands that actually thinks about it, rather than just renaming a product to sound spooky. 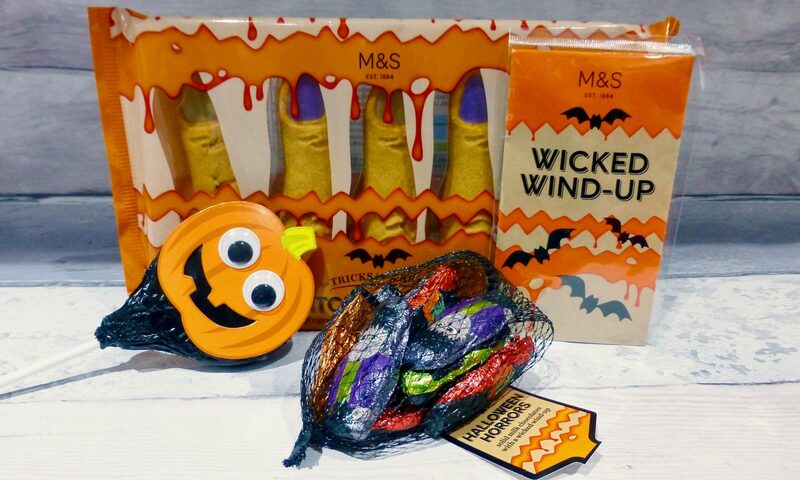 So as part of my M&S bundle* I received I was happy to see they had included the M&S Witches Fingers and the mini bag of Halloween Horrors Chocolate. Perfect for those halloween parties, the detail on these fingers are great and they have even gone as far as to include accurate creases in the fingers, and the addition of fingernails. I can just imagine these sitting perfectly in a halloween party and the faces of the little kiddies. The fingernails are made with naturally coloured vanilla fondant and I really loved the contrast between the sweet vanilla and buttery biscuit beneath. The golden biscuits had a really good snap and crunch to them and were a little bit like shortbread but not at all crumbly. These are best eaten pretty much there and then or at the very within a day or two because they do go soft pretty quickly, and no-one wants a soft biscuit! You can always count on M&S for little bags of chocolate no matter what the theme is. 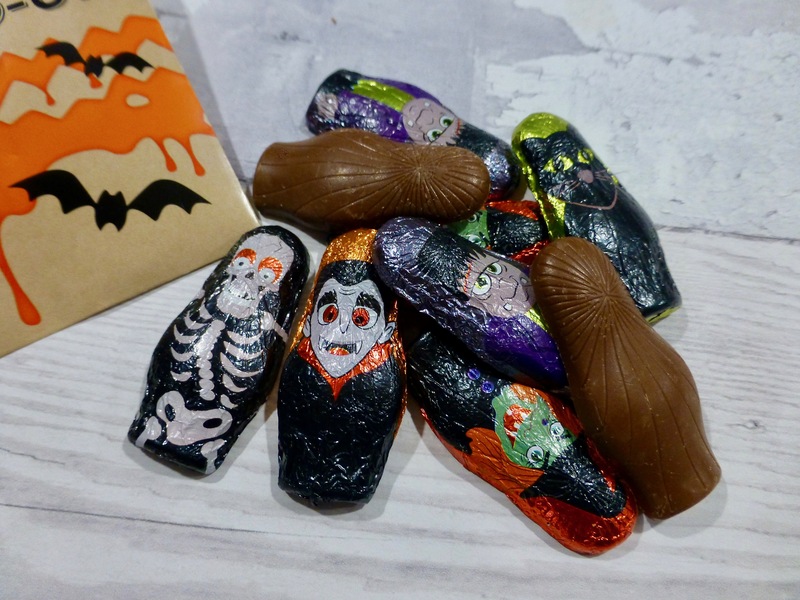 If you buy their Halloween Horrors this year you get a selection of foiled Halloween characters covering solid milk chocolate, and a Wicked Wind Up toy. I can certainly see these being handed out to those trick or treaters that come knocking. The solid chocolate pieces aren’t too shabby. For me the chocolate is okay, not overly creamy nor the highest of quality but still tastes okay. The characters are apt but it is a shame that the solid chocolate is just that, and that it doesnt have the characters imprinted on there too. 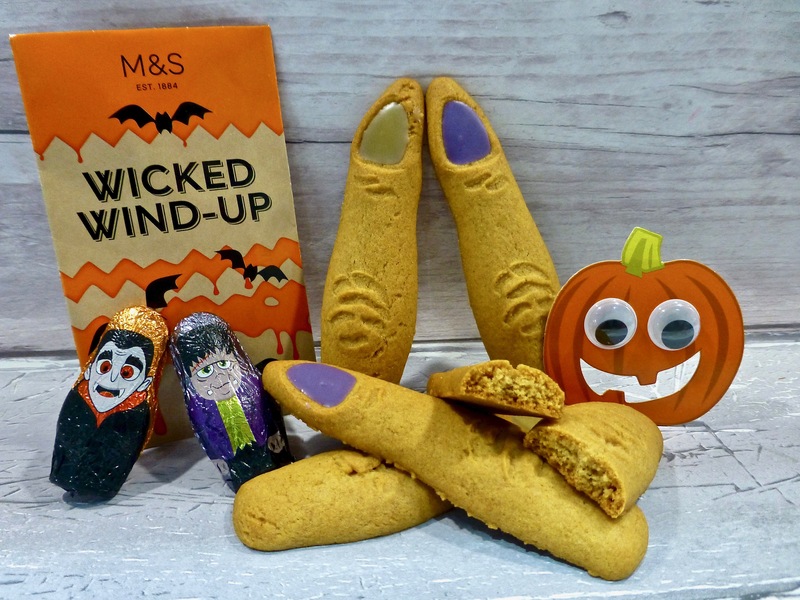 Both the M&S Witches Fingers and Halloween Horrors tick the box for this spooky season. If I were to pick one it would hands down be the M&S Witches Fingers. They are by far the best Halloween themed food I have seen so far, they look great and they taste blooming good too. I was desperate to know what the wicked wind up was when I purchased the chocolate beans they were selling. Was it a Toy?